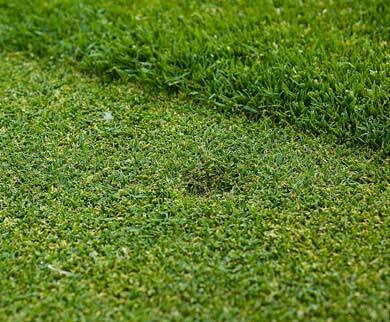 Finally, an environmentally friendly, USA manufactured and designed repair tool that safely and easily eliminates unsightly ball marks left on the green from the impact of an approach shot. 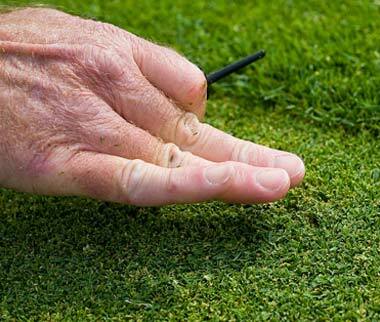 ForeGreens is designed specifically with a single "fork" which is less invasive to turf and root systems. 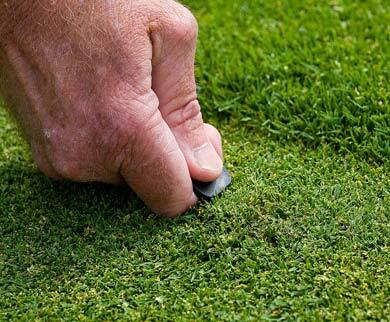 Two prong tools are inserted and then twisted to create the necessary effect, but in reality they disrupt and tear the green's sensitive root system. 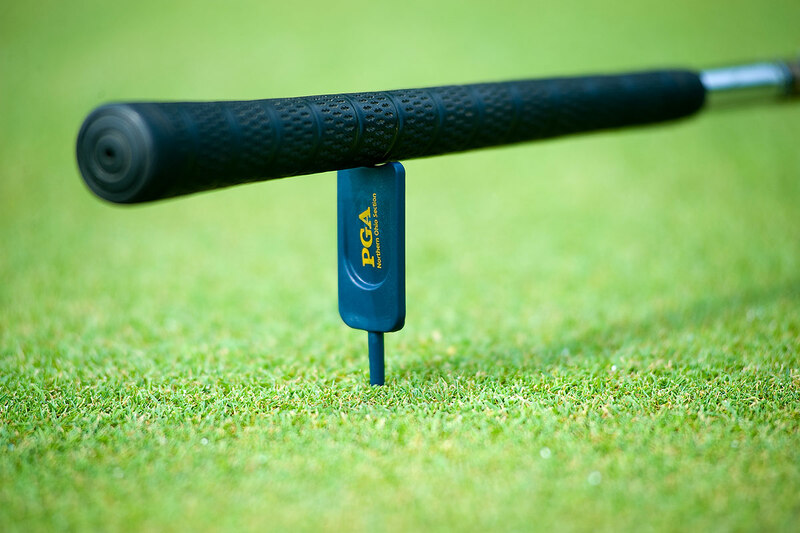 Not only does the ForeGreens tool repair the impact area better than traditional metal prong tools, it is lighter and more comfortable to use as well as being an environmentally friendly alternative to metal. ForeGreens uses 100% U.S. recycled material and is manufactured domestically, allowing us to oversee all facets of the operations and integrity of our product. Made from Recycled Material And we help save you green by offering two-week turn around, nationwide distributors and low 250 piece minimums - all done right here in the U.S.A.! Another wonderful feature exclusive to the single prong market is the club rest area at the top of the tool to rest that extra club carried to the green and keep it dry and secure away from the green's surface. We have assembled the most professional and diversified distribution netwok in the industry to make all facets of the ordering process a seamless transaction with the fastest and most efficient order turn-around available today.